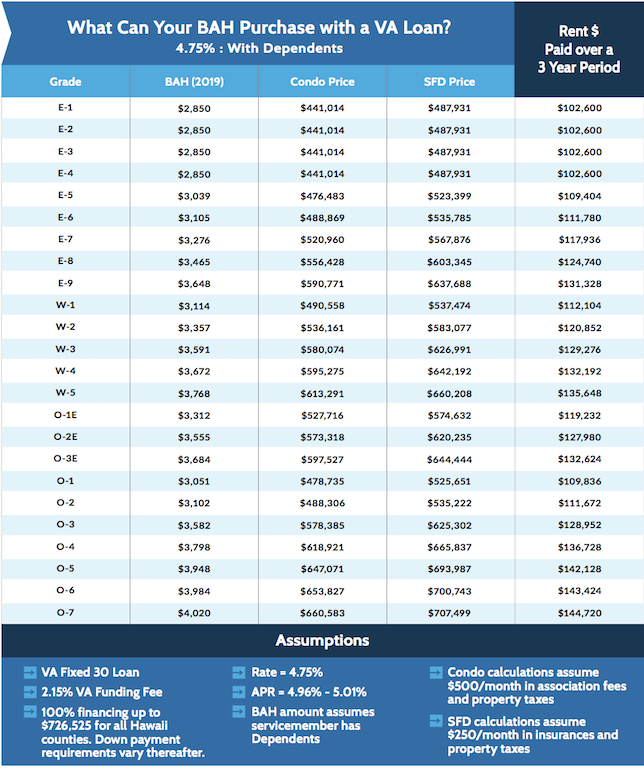 Welcome to Hawaii's most exciting urban community; a rapidly growing neighborhood that's seen numerous transformations. 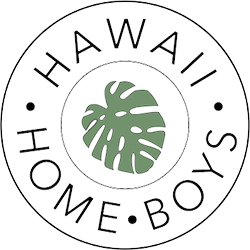 From the expansive Native Hawaiian agricultural community of old, to the port site of foreign ships embarking in trade and supply, and now the rejuvenation of industrial and warehouse sites to erect a truly urban metropolis. 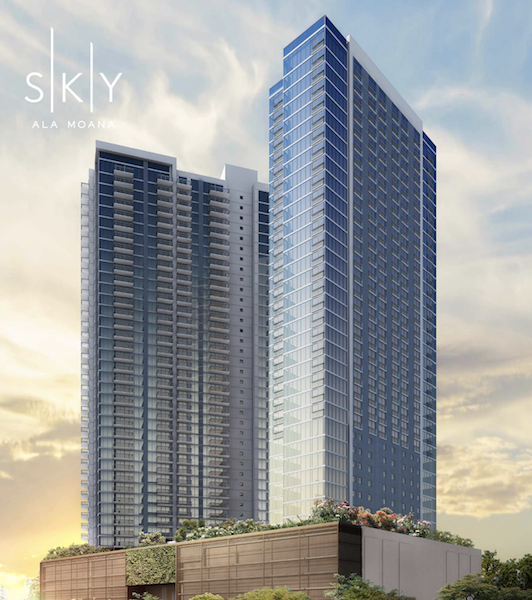 The last few years have proven Kakaako to be a developer's delight; both foreign and domestic, as their teams flex their design and architectural mights on the canvas of the Honolulu sky. - The Super Block which represents the Kakaako condos on the eastern border, nearest Ala Moana center. This sector is home to Hokua, Koolani, Waihonua, Moana Pacific, and Hawaiki condo towers. - Ward Village by Howard Hughes which was named Best Master Planned Community in the Nation in 2017. These condos are near the retail shops and restaurants of Ward Centre or the former Ward Warehouse site. Ward Village is comprised of Waiea, Anaha, Ae'o, 'A'ali'i, Ko'ula, and Ke Kilohana condo towers that feature mostly luxury condominiums ranging from $500,000 studios up to the $36 Million Grand Penthouse of Waiea. Reserved Housing units were also offered to provide more affordable housing options to eligible and qualified applicants. - Our Kakaako by Kamehameha Schools. Near downtown Honolulu, on the western border of Kakaako. This region is anchored the popular SALT at Kakaako retails shops and restaurants and is comprised of the recent additions of The Collection, 400 Keawe, Keauhou Place, and Ililani condominiums. 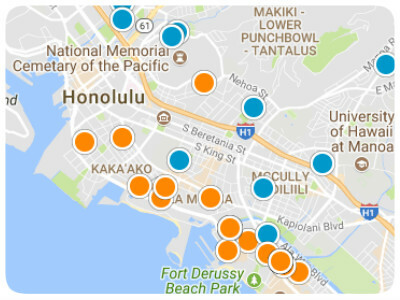 Roughly 12,000 people currently call Kakaako home and they're a fortunate group. The neighborhood is tucked between Waikiki, Hawaii's most iconic tourist attraction, and Downtown Honolulu, the epicenter and business district of the City of Honolulu. These two Oahu neighborhood titans are some of the most heavily trafficked regions on island by both foot and car so it should be no secret as to why walkability and ease of commute remains at the core of Kakaako's vision to drastically improve it's residents' daily commute. Developer Howard Hughes is the acting "tip of the spear" and it's their foresight that bring us Ward Village; a neighborhood poised to be the epitome of walkable convenience and alternative commuting. This will materialize through wide sidewalks and green spaces throughout the neighborhood, promoting its residents to leave the car at home and walk or bike to their favorite Kakaako restaurant or retail store. Those looking to venture a little further out are expected to one day have the utility of two different planned, future rail stops. Compounding the amenity of convenience will arguably be Kakaako's most spectacular natural amenities; Ala Moana Beach Park, Kakaako Waterfront Park, and Kewalo Basin Park. Besides providing unparalleled ocean view condos in Kakaako for prospective buyers, residents can enjoy the acres of green space, paths, and workout areas designed to delight the fitness enthusiast, fishermen, surfers, or even just the casual family picnic. Enjoy the white sand beach and calm, crystal blue waters of Ala Moana Beach Park for an ocean experience that's a stroll away. Ward Village will also feature The Central Plaza, a park at the heart of the village that will promote outdoor activities and entertainment such as Kakaako Farmer's markets, yoga, movies, musical performances, and hula. This is what we call a "Lifestyle Community," a place where home transcends the walls of house. From the vast array of shopping, dining, culture, street art, and boutique stores, this is urban living and style at is finest!